The stock rose up to 10.6% or 14.65 points to 152.70 level in trade today. Later, it ended 9.92% or 13.70 points higher at 151.75 level on the BSE. The Bank of Baroda stock rose the most in 17 weeks and pushed the markets higher in trade today after the public sector lender reported better than expected earnings in the first quarter of the current fiscal. The lender reported more than two-fold rise in first-quarter profit at Rs 528.26 crore as provisions for bad loans dropped. The bank had reported a net profit of Rs 203.39 crore in the same quarter of 2017-18. The bank's market capitalisation rose to Rs 40,145 crore on the BSE. The stock opened with a gain of 6.56%. The large cap stock is down over 6% during the last one year and nearly 5.5% since the beginning of this year. 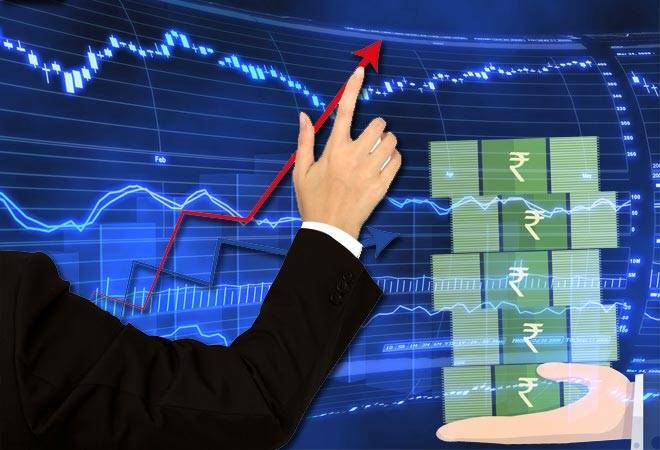 Total income for the April-June period of 2018-19 edged up to Rs 12,787.71 crore from Rs 12,103.86 crore in the same period of preceding fiscal, the bank said in a regulatory filing. The net interest income (NII) increased by 28.66 per cent year on year and 9.47 per cent quarter on quarter. Operating income (NII and other income) increased by 11.56 per cent from a year ago. Net Interest Margin (NIM) improved to 2.65 per cent in June 2018 quarter from 2.51 per cent during previous quarter, the bank said. Core fee income increased by 16.76 per cent to Rs 794 crore. Bank's provisions for bad loans were brought down to Rs 1,759.72 crore for the first quarter of current fiscal from Rs 2,156.69 crore for the same period of 2017-18. Gross NPAs in value terms dropped to Rs 55,874.81 crore at June-end this year from Rs 56,480.39 crore at end-March, but were up compared to Rs 46,172.77 crore at the end of June 2017. Overall provisions and contingencies also came down to Rs 2,165.64 crore from Rs 2,368.05 crore. The asset quality of the lender worsened with the gross non-performing assets (NPAs) rising to 12.46 per cent of the gross advances as on June 30, 2018, from 11.40 per cent of the gross loans as on June 30, 2017. Net NPAs of the bank were 5.40 per cent as on end-June 2018 (Rs 22,384.10 crore) from 5.17 per cent as on June 30, 2017 (Rs 19,519.31 crore). Edelweiss on July 28 gave a buy call on the stock with a price target of Rs 180. The price when the recommendation was made stood at Rs 138.05. Motilal Oswal on July 30 gave a buy call on the stock with a price target of Rs 175. The price when the recommendation was made stood at Rs 138.05. Jefferies has upgraded the stock to "Buy" and said, "We derive greater comfort on its asset quality as well as earnings capacity. Strong quarter on all counts and target price raised to Rs 180 from Rs 161. Derive greater comfort on its asset quality. See return on equity of 14-16%. " Nomura said asset quality is in line. Changes were showing up in the operating performance. Current multiple of 0.73x Sep-20F book looks reasonable & continuity of CEO should aid multiples materially. Maintain Buy, target price of Rs 190. Morgan Stanley said, "Better margins and fees led the key surprise: strong revenues. We project higher revenue growth, partly offset by provisions (we add non-fund watchlist to our impaired loans estimates). Fix target price at Rs 165. Of 41 brokerages covering the stock, 33 rate it at "buy" or higher, 6 "hold" and two at "sell", according to Reuters data.